he Toronto Jewish community will be home to the Yeshiva University (YU) Torah Mitzion Beit Midrash (intensive Torah and Talmud study program) of Toronto beginning September, 2009. The Beit Midrash is an affiliate of YU’s Center for the Jewish Future (CJF) and Kollel Torah Mitzion. The Toronto Jewish community will be home to the Yeshiva University (YU) Torah Mitzion Beit Midrash (intensive Torah and Talmud study program) of Toronto beginning September, 2009. Yeshiva University, through its Center for the Jewish Future (CJF), will introduce a Torah learning program at Lincoln Square Synagogue this summer for women of all ages who want to pursue advanced Talmud and Judaic study. The Women’s Beit Midrash Fellows Program, which takes place July 6-29, affirms the University’s status as a pioneer in developing Orthodox Jewish women as scholars, teachers and community leaders. Affirming its status as a pioneer in advanced Talmud and Judaic study for women and its four decade long commitment to developing Orthodox Jewish women as scholars, teachers, and community leaders, Yeshiva University, through its Center for the Jewish Future (CJF), will sponsor the Women’s Beit Midrash Fellows Program next month. 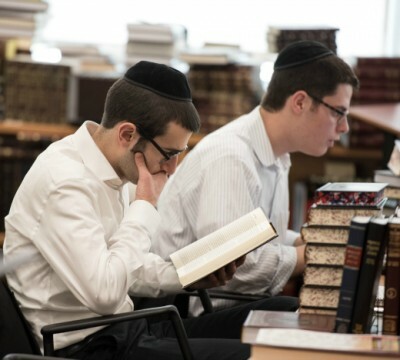 The Yeshiva University (YU) Israel Beit Midrash (study hall) was dedicated as a living memorial to the late Rabbi Israel Miller, formerly of the Bronx, as part of the Second Yeshiva University Colloquium in Israel. Rabbi Israel Miller guided the founding of YU’s Israel Campus in Bayit Vegan, Jerusalem, and established the Gruss Institute for advanced rabbinical study. He devoted 60 years of his life to YU first as a student and then as an administrator. After a summer of hammering and drilling, building, painting, and carpeting, Yeshiva University’s undergraduate and graduate campuses now boast many new high-quality facilities. The Office of Planning, Design and Construction oversaw the renovation and construction of about 40 projects, some of which will continue into the fall semester, said Jeffrey Rosengarten, vice president for administrative services. Yeshiva University’s Center for the Jewish Future will sponsor the Teaneck Beit Midrash Summer Program for Women, the first program of its kind at Yeshiva University designed to provide women of all ages with the knowledge and tools to become both Judaic scholars and role models for the Orthodox community. The program will take place at Maayanot Yeshiva High School for Girls from July 2-26.